During a record-breaking flight in an attempt to fly around the globe, Earhart and her navigator went missing. 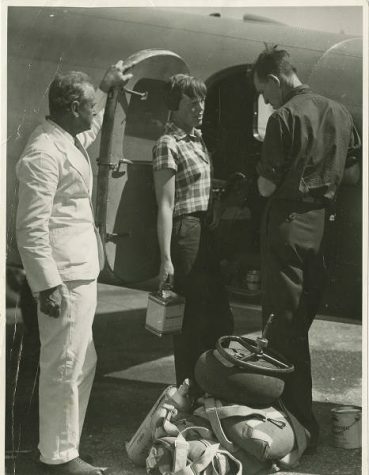 Earhart was never seen again, leaving the details of her disappearance minimal and confusing. Amelia Earhart and her navigator Fred Noonan with the plane they attempted to fly across the world. 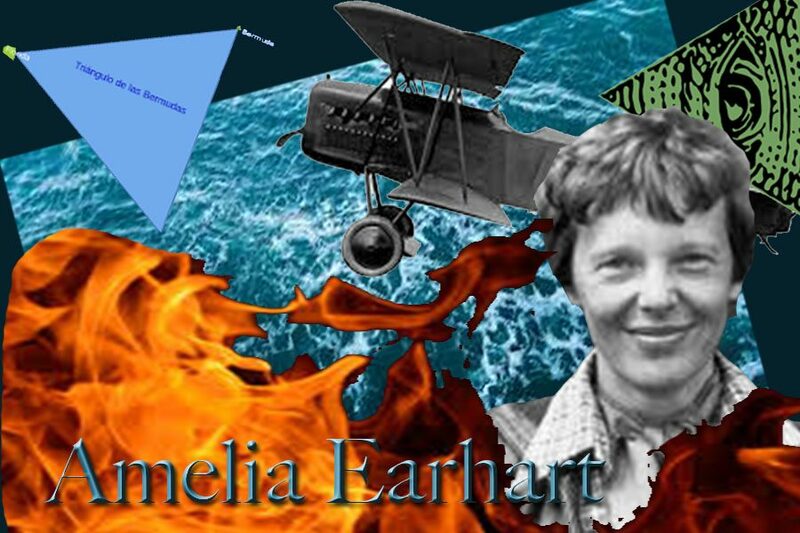 A fair amount of theorists believe that she actually did crash her plane in the Bermuda triangle, but she didn’t die in her aircraft and neither did the navigator. The History Channel has done various investigations and articles about this strange, mysterious occurrence. There are a few things that make sense and some that do not about this theory. The details of this theory go like this: Earhart and her navigator fly out from Florida in an attempt to circumnavigate the Earth. The last time she made contact was when she was somewhere in the middle of the Pacific Ocean. Historians believe that the duo may have been captured by the Japanese government and held as war prisoners for being spies. This theory throws the U.S government under the bus as well because there is almost no way that if Earhart and her partner were captured, that the United States would not have been notified. The reasoning behind this is that during this period, U.S officials did not want to create any more panic that had already set in, so this type of situation would have been one to cover up. 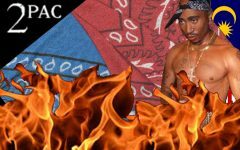 Recently (2017), new evidence was found to corroborate this story in the form of a photo in the National Archives found by retired federal agent Les Kinney. Kinney was a longtime researcher and investigator of the Earhart case and this photographic evidence (attached) changed this story forever. 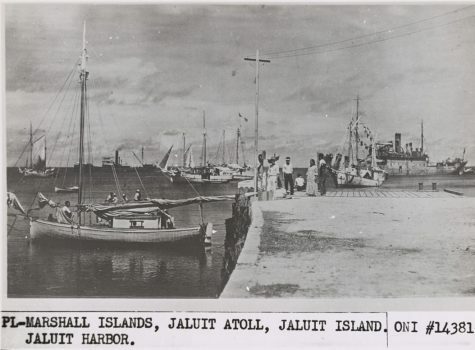 The image depicts a large dock with small boats all around it, but if you look closely at the poor-quality, black and white photograph, you may be able to get a glimpse of Amelia sitting at the end of the dock, and her navigator, Fred Noonan, off to the left side peeking around some sort of structure. In the distance, the far right, you see a large ship towing what looks like a small aircraft. This is what many people believe is the evidence that Earhart and Noonan were not dead at sea, but captured after crashing in the Pacific. What fascinates me about this story is how many twists and turns there are because of how passionate researchers are about the truth. I will leave it up to you what you think happened to her on July 1937. 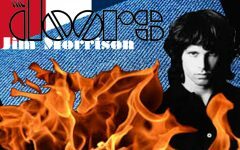 What happened to Jim Morrison?